In this section we present unsolicited testimonials from our clients, in regards to our Talismans, mystical items and services. Generally, nothing has been edited and is presented the way they were written. Although many have given us positive feedback, in this section we only present the ones who have given us permission to publish them. Their identities are kept private and confidential if they wish to be anonymous. If you have acquired our Talisman, mystical items and our services, that have given you some fascinating and unexpected results that you wish to share with others, simply email us with your brief story. We would appreciate some feedback, please send us an email. Original contributions, which should be less than 250 words. May 12, 2006. Mr.Mehta Kaushal from Pune, India. 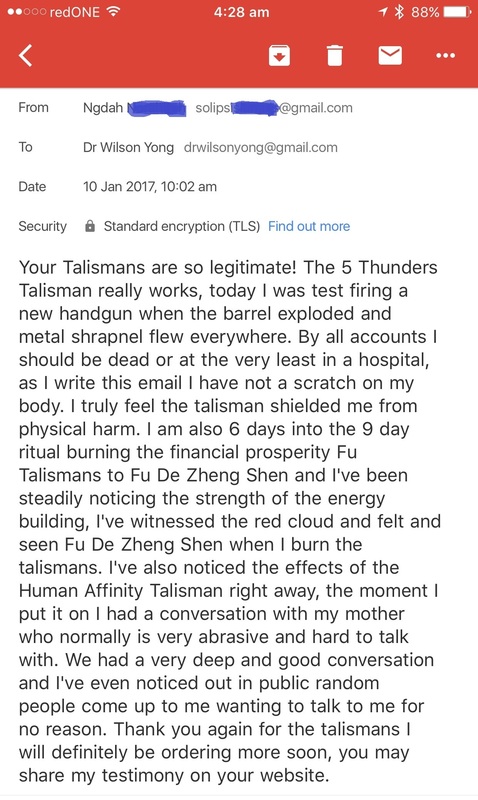 Feedback About your Talismans. you can post it on your website. busy and also answered all my stupid questions. small piece of paper. wish i found your website sooner. I now have advantage over my competitors! better now with my co-workers. foot steps walking up our stairs at nite. neighbor home and wait till they return. compassionate. Please keep up the wonderful work & bless you.